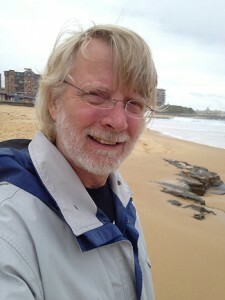 The American Academy of Arts and Sciences today announced that Centennial Professor of Psychology Gordon D. Logan has been elected as one of its new members, along with 212 other individuals including some of the world’s most accomplished scholars, scientists, writers and artists, as well as civic, business and philanthropic leaders. Logan has made profound theoretical and empirical contributions to the field of psychology through his studies of attention and automaticity, the development of skill acquisition, and the nature of executive control. He pioneered the “stop-signal paradigm” that forces subjects to inhibit an ongoing action in response to a stop signal, which has allowed psychologists to address the issue of how people inhibit their behaviors and has been applied successfully to the study of performance in wide varieties of clinical populations who show deficits in inhibitory control. His “instance theory of automatization” also has been extremely influential because it accounts for how people “automate” repetitive cognitive tasks. The theory holds that automatic processing develops because the observer stores separate representations or “instances” of each exposure to a task, and that consistent practice increases the speed with which a person can retrieve these instances. In recent work, Logan has shown that the hands of skilled typists know when they make an error, even when the mind does not. He also has collaborated in studies that suggest the brain controls impulsive behavior in a manner that is substantially different than psychologists have thought for the past 40 years, a discovery that sheds new light on how the brain controls all sorts of basic impulses. Founded in 1780, the American Academy of Arts and Sciences is one of the country’s oldest learned societies and independent policy research centers, convening leaders from the academic, business and government sectors to respond to the challenges facing—and opportunities available to—the nation and the world. Members contribute to academy publications and studies of science, engineering and technology policy; global security and international affairs; the humanities, arts and education; and American institutions and the public good. Logan joins nine other Vanderbilt scholars who are current members of the society: Emilie M. Townes, dean of the Divinity School and E. Rhodes and Leona B. Carpenter Professor of Womanist Ethics and Society; John Alexander Oates Jr., Thomas F. Frist, Sr., Professor of Medicine and chairman of the School of Medicine; Jon H. Kaas, Gertrude Conaway Vanderbilt Chair in Social and Natural Sciences; Randolph Blake, Centennial Professor of Psychology; Larry Bartels, May Werthan Shayne Professor of Public Policy and Social Science; Tom D. Dillehay, Rebecca Webb Wilson University Professor; David Blackbourn, Cornelius Vanderbilt Distinguished Chair in History; Colin Dayan, Robert Penn Warren Professor of the Humanities; and Lorrie Moore, Gertrude Conaway Vanderbilt Professor of English.